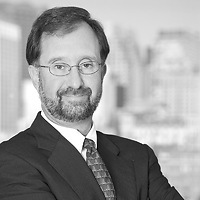 Philip R. Rosenblatt, chair of the firm’s Business Department and co-chair of the firm’s Commercial Finance group, was elected president and chair of the Board of JOIN for Justice on June 10. Phil has been a member of the Board for many years, and also served as Treasurer for several years. JOIN for Justice’s mission is to develop hundreds of top quality Jewish organizers in lay and professional positions inside and outside the Jewish community, transforming and strengthening individuals and institutions as they work for a more just, inclusive, and compassionate society. JOIN for Justice is the only organization dedicated solely to training, supporting, and connecting Jewish organizers and the organizations they serve.